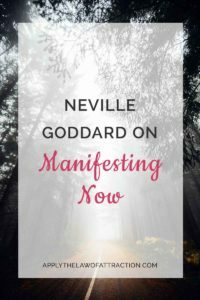 Born in Barbados in 1905, Neville Goddard was a metaphysical teacher who taught the Law of Attraction through lectures given on TV, the radio, in books, and in person. For decades, he was one of the most influential teachers on how our thoughts and feelings have the power to create. These are some of my favorite quotes from Neville's book, The Power of Awareness. Thanks so much for your continued work on manifesting and the law of attraction. It amazes me how long ago people were actually doing the same thing. I guess it just shows that when something is a good thing is never goes out of style. Thanks Stephanie! Neville’s an oldie, but goodie. I agree with you Stephanie. Sometimes though it’s hard to understand what these old guys like Neville are saying. Thanks Elizabeth for making it easy to understand. Glad I could help Brian! So nice and kind of you to have this website with all of this information on it about LOA, at no cost. How wonderful of you. I know that you will get infinite blessings in return from the Universe for your kindness. I love your LOA website. It is my favorite website about LOA. I have learned a lot from your website even though I felt I had studied everything there is to know about the Law of Attraction. You have applied the LOA in your life successfully and are able to tell us how to apply it successfully in our lives to manifest the life of our dreams. I cannot thank you enough for sharing so generously your insights!!! Thanks Daasya! I’m really glad my site has been able to help you. It makes all the hard work worth it. I am a follower of Nevilles teachings.. as he explains through art of prayer a 3 step process 1. know what you want 2. select an event fulfiling your desire 3. immobilize your body in a state akin to sleep. He himself attracted his second wife. My question is : i live in India, where we do not stay together before marriage. So what event would justify my wish to attract specific person fullfiled?? need some examples as i am confused. I am also practicing exercises from your book. Neville lived in a time when people didn’t live together prior to marriage. He justified his wish by imagining he was sleeping next to the person he wanted to be his wife every night. I will tell you my story of LOA. Since I was 8, I had only one dream, to come to America. I was daydreaming about it every minute. Everyone under the sun made fun of me, I didnt care. That was my only dream. I learned perfect English, I subscribed to American magazines, listened only to American music. My family was taunting me, we had noone in America, we had no money, I was a girl, etc….I didnt listen. The DAY i became 18, I got me a passport. Just because. One year after that I was in the US, in a series of magical events that unfolded. I didnt know it had a name, LOA, but it worked for me. I know our every desire can become reality if we only believe. Thank you for sharing such a wonderful story! It’s such a great example of how you create your reality. Wow…deep stuff. I love it!